Ruling throws out 2014 rule, leading to question of how CMS will determine whether it has overpaid an MA insurer. UnitedHealthcare wins court case over Medicare Advantage overpayment rule Ruling throws out 2014 rule, leading to question of how CMS will determine whether it has overpaid an MA insurer. 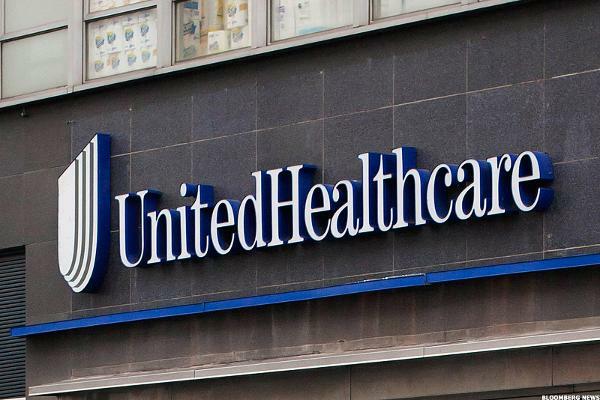 UnitedHealthcare has won its court case over the way the Centers for Medicare and Medicaid Services calculates whether it has overpaid Medicare Advantage insurers. The U.S. District Court for the District of Columbia on Friday granted UnitedHealth’s motion for summary judgement and vacated CMS’s 2014 overpayment rule, leading to the question of how CMS will amend the rule to determine whether it has overpaid an MA insurer. CMS could also appeal the ruling. Federal Judge Rosemary Collyer said the 2014 overpayment rule was not equitable to Medicare and Medicare Advantage insurers, which is required by law. One of the issues for insurers is that the current way CMS calculates payment results in the false appearance of better health among Medicare Advantage enrollees compared to traditional Medicare participants, leading to systematic underpayments to MA insurers, according to the ruling. Judge Collyer said the current way CMS calculates payment subjects the insurers to a more searching form of scrutiny than CMS applies to its own enrollee data, resulting in a false appearance of better health among Medicare Advantage beneficiaries. Medicare pays hospitals based on the diagnosis related group, or DRG, at the time of patient discharge. Under Medicare Part B, physicians submit diagnosis codes, but payment depends on the services provided, and not on the way the diagnosis is submitted. In contrast, MA insurers are not paid based on medical services, but through a predetermined monthly sum, based on a per member, per month rate that is risk adjusted. To set risk scores and benchmark rates, CMS relies entirely on the diagnosis codes submitted by providers under traditional Medicare. UnitedHealth said these must contain errors, because as doctors in traditional Medicare are paid based on their services provided and not the diagnosis codes, they are not paying as much attention to the latter. UnitedHealth put the error rate as high as 20 percent. Also, CMS requires MA insurers to certify that the information they provide to CMS, including all diagnosis codes, are accurate. Insurance companies do not regularly see patient medical records, but only doctor bills, UnitedHealth argued. CMS audits to match up the diagnosis codes, in bills paid by the insurers, to the underlying medical record. The insurers are then required to pay to CMS any of the costs that are based on unsupported diagnosis codes. CMS began applying these risk adjustment data validation audits to get the error rate in samples across an entire insurance contract. The insurer would then be responsible for returning any overpayment to CMS. Medicare Advantage insurers immediately protested. As a result CMS adopted a “fee-for-service adjuster” to the audits of Medicare Advantage insurance contracts, reflecting its own estimate of the error rate. Medicare Advantage plans were required to return to CMS any audited overpayments. UnitedHealth asserted that the FFS adjuster counteracted the fact that per-capita payments to Medicare Advantage insurers are based on a less precise set of data — belonging to CMS — than that which is reviewed during an audit. Their argument, and CMS’s eventual concurrence, were supported by the American Academy of Actuaries, court documents said. Judge Collyer’s decision found that this discrepancy in the 2014 rule violated the statutory mandate of “actuarial equivalence” between CMS payments for healthcare coverage under traditional Medicare and for Medicare Advantage. The 2014 overpayment rule represented “a surprise switcheroo on regulated entities,” she said. UnitedHealthcare filed the complaint in January 2016. In 2017, CMS filed a motion to dismiss, which the court denied. The parties proceeded to summary judgment briefing, in which Judge Collyer granted UnitedHealth’s motion for summary judgment, denied CMS’s cross motion for summary judgment and vacated the 2014 overpayment rule.